The agency hire comes after Denny's restructured part of its marcomms function. SPARTANBURG, SC: Denny’s has selected Allison+Partners as its PR AOR after the restaurant chain reorganized part of its marcomms structure. 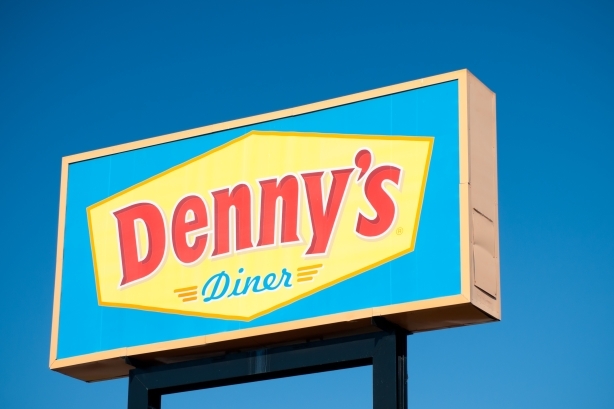 Denny’s hired the agency after the chain restructured a "small portion" of its marketing functions for "even greater efficiencies" in recent months, said John Dillon, chief brand officer and SVP for the company. The restaurant made the change in conjunction with its refranchising and development strategy, which kicked off in October, targeting 125 company-operated restaurants over the next year. The RFP process began last summer. The competitive pitch resulted in three finalists, said Matthew Della Croce, partner and global president of Europe and Allison+Partners’ corporate practice. "We were invited to pitch for their corporate work; purpose-driven work, such as diversity and inclusion work; and crisis and issues work," he said. "They were trying to find one agency that could do all that." Allison+Partners won that business in November, and Denny’s also awarded the firm its U.S. consumer work, which began in January. Allison+Partners is also helping Denny’s with brand PR and strategic partnerships. Denny’s launched a strategic partnership this week with Earvin "Magic" Johnson. With the basketball legend’s support, Denny’s created an online experiential program to accompany its leadership training and development program. Allison is supporting the company with the partnership. "[Johnson] is helping Denny’s with its hiring practices," said Della Croce. "Denny’s restaurants are in diverse locations, so [Johnson’s foundation] is working with them on trainings and things of that nature." Della Croce explained that his firm is working to bring Denny’s back into the "hearts and minds" of American consumers. "There is so much competition for a consumer’s mindset; we are working with Denny’s to bring the next iteration of their relevance in the market," he said. "It is about the products, but it is also critical that they fully understand and embrace the fact that they need to be a great corporate citizen and be driven by purpose as a brand so [they attract] the right employees and brings customers back into the restaurants." Della Croce is leading the account team. Three other senior staffers at Allison+Partners are driving day-to-day integrated work, he said. Budget information was not disclosed, but Della Croce said that "you can assume it is fairly sizable given all the different parts." EP+Co, which started working with Denny’s in 2009 and previously handled its PR capabilities, is working on other parts of its business. "EP+Co remains a long-standing, trusted, and pivotal partner of the brand and continues to perform what we all consider to be outstanding AOR services related to national marketing communications in the areas of brand strategy; broadcast, print, and digital advertising; social content development and publishing; website strategy and design; menu and merchandising creative and production," said Dillon. "The work and relationship with EP+Co has been beneficial to our results over the last several years, and we look forward to what is yet to come." Last year, Denny’s pretended to accidentally send out the working draft of a press release, complete with tracking changes, to promote its $5.99 Super Slam value meal. EP+Co was behind the stunt, which topped the list of PRWeek’s most-read stories of 2018. Denny’s posted Q4 revenue of $159.55 million, beating analysts’ expectations.